If you enjoy our 33 1/3 series, now is a great time to purchase more of our music & sound studies academic books! Bloomsbury is having a sale across our range of scholarly titles in the humanities and social sciences! 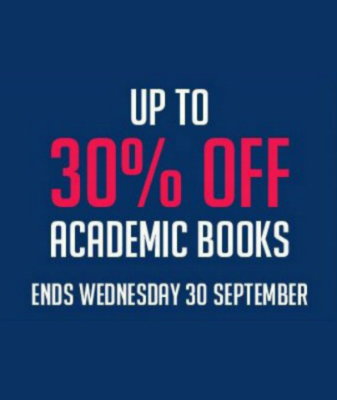 You can save 30%* on academic titles until Wednesday, 30 September. Order your copies today and save. *30% excludes titles of £125 or above and is not available on Fairchild Books or pre-orders. The offer expires at midnight on Wednesday, 30 September 2015.